IN THIS VIDEO: The Best Page Builder Plugin for WordPress is Beaver Builder. There are lots of WordPress Page Builders and I’ve used everything from Visual Composer to Avia Page Builder but Beaver Builder is BY FAR the BEST WordPress Page Builder. Click Here to demo and buy Beaver Builder for WordPress – the ultimate Page Builder for WordPress. How ridiculously fast you can build a professional Page using Beaver Builder, including how Beaver Builder’s drag-and-drop system works. 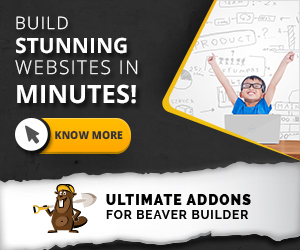 The Basic and Advanced modules that come with Beaver Builder, including how they work, their settings and why they’re all you need to build an incredible website. If you find this video useful, as a follow up you can learn how to create a Landing Page using Beaver Builder and the power of importing Beaver Builder page templates below.